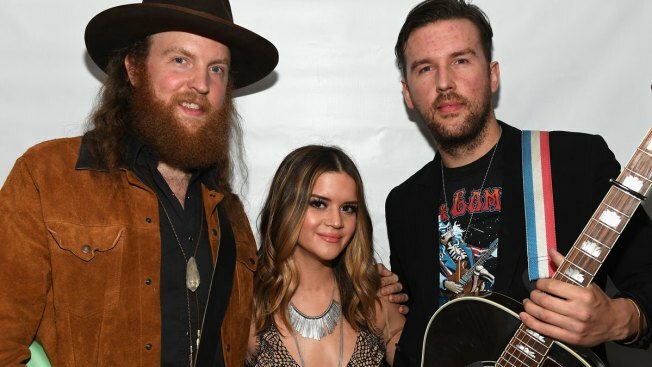 John Osborne of the Brothers Osborne, Maren Morris, and T.J. Osborne of the Brothers Osborne will perform a tribute at this year's Grammy Awards to honor victims killed at live music events this past year. Three performers at last year's Route 91 Harvest Festival where a gunman opened fire on fans will perform a tribute at this year's Grammy Awards to honor victims killed at live music events this past year. The shooting in Las Vegas was the deadliest mass shooting in U.S. modern history. It came in a year when 22 people were killed in a bombing outside an Ariana Grande concert in Manchester, England, in May. Church headlined the first night of the festival, which was the last night of his tour. A gunman perched in a window of a hotel-casino overlooking the outdoor festival opened fire on the crowd during the final night of the festival as Jason Aldean was performing, killing 58 people and injuring hundreds more. "In all honesty, there's not a day that goes by since that day that I have not thought of it and thought of the people and the victims," Church told The Associated Press. "That being our last show of the year, I took it in differently than I have maybe taken in other shows. I savored it. I remember everything about it." Church, who wrote a song called "Why Not Me" immediately after the shooting, said he knew some of the victims because they were members of his tightknit fan club and said he appreciates that the Grammy producers wanted to reserve time in the show to remember those music fans who had been lost. "Mass shootings, they happen every year, unfortunately," Church said. "But this year was a little bit unique in that you had two happen at music events and one of those was the largest mass shooting in U.S. history. It's been a tragic year." Ken Ehrlich, executive producer of the Grammys, said the country artists will perform a classic Grammy-winning song, which hasn't been announced. "We considered a number of songs. We wanted something that is universal. We wanted something that spoke to the subject, which certainly this song does," he said. "When you listen to the lyric, this one certainly stood out." Morris, a nominee for best country solo performance, performed the night before the shooting. She said she's heard directly from fans that the attacks have left them scared to go to shows, and said that it has affected artists as well. "As an artist and a performer, I don't want to be afraid to walk out on a stage each night," Morris said. "I know that we've all been reckoning with that for the last several months." Morris said it felt right to have performers from that festival lead the tribute. "It reinforces even more the strength of music and the community that we all share together, artists and fans alike." Church said the attacks shattered the sense of safety and comfort that music can sometimes bring. He said that's been the hardest thing for him as an artist to deal with, but added that those attacks can't stop musicians or their fans. "You don't let it kill the music and you don't let it destroy the moment," Church said.